RC Airplane Radios Choose the Right One For Flying Model Airplanes! 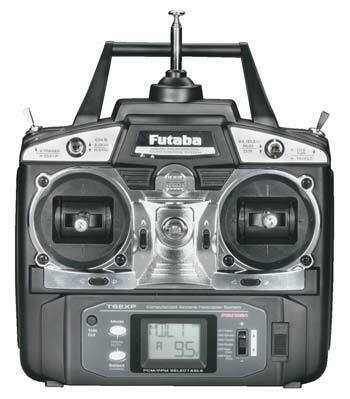 RC Airplane Radios come in many channel configurations for flying model airplanes. RC pilots have vast choices of channels to choose from 4,6,7,10,12 and 14. A 6-channel radio is popular among new pilots, because of it's versatility. However, that may be true, it is very important you find the right radio transmitter for your skill level. You do not need a 10-channel system, if you are a beginner. These 4 basic channels are all a beginner pilot needs, while learning to fly rc aircraft. Why? because extra channels will not be used, you don't have the experience to operate more expensive radio transmitters. Tip - Learn the basics of flying rc airplanes, and then move up to more advanced systems. These advanced radios systems consist 6 - 14 computer channels. If you have mastered your basic 4 channel unit, and need more channels: consider a 6 - channel computer system. - It offers you more versatility and simple programming. Click here to visit 14 channel systems radios with everything you would ever NEED! Most rc pilots will not need all of these functions, but they are there if ever needed. A more expensive 14 channel might cost $2299.00, yes a very BIG difference. Choosing the correct radio system is something only you can decide. Do not select just ANY system, if in doubt, visit a hobby store and ask an experienced rc salesperson for advice!